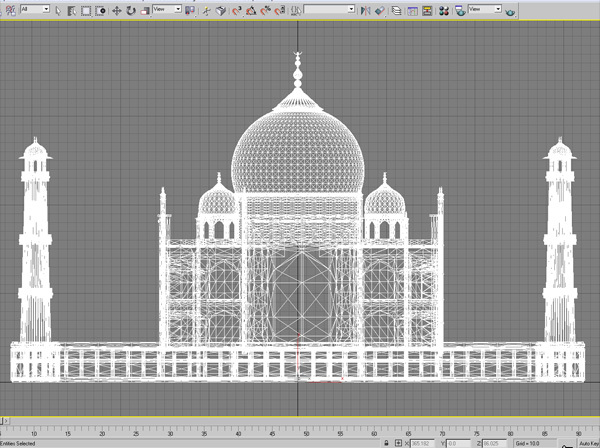 Taj Mahal, crown of palaces, is a white marble mausoleum located in Agra. easy to use file, no textures though.. so go wild! Mausoleum of Mumtaz Mahal. Taj Mahal is regarded as one of the eight wonders of the world, the epitome of Mughal art and one of the most famous buildings in the world, its architectural beauty has never been surpassed, 3ds, taj, mahal, agra, architecture, dome, india, islamic, landmark, marble, mausoleum, minaret, monument, mughal, tomb, white grey, isolated, white, background, illustration, image, graphics, render.